Set all products in your store to be sold individually – only one quantity in one order. Great for services, digital products and exclusive items. WooCommerce Sold Individually let’s you restrict the number of products that can be added to the cart per order. WooCommerce Sold Individually extension lets you quickly set all products to be sold individually – that is the customer can choose only one product in one order – let’s say product A in one order from your store. If customer wishes to buy another product (Product B) or same product A from your store, then customer will need to create another order. Just install the plugin and it will hide quantity selection controls from all Add to Cart buttons / cart page. This way customers can only buy one quantity of the item at a time. 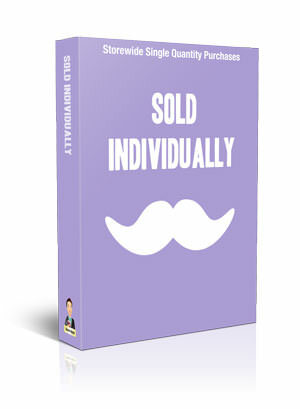 The plugin works on all products in your store and you don’t need to go and edit each product to sell it individually. Irrespective of the choice under Inventory settings for your WooCommerce product, as long as this plugin is active, all products in the store will be sold individually!